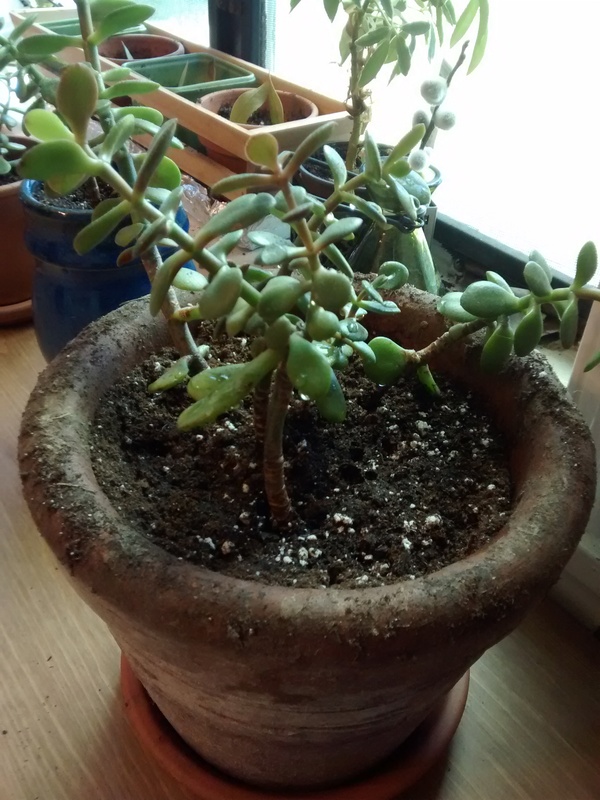 What began as a small plant to decorate our first apartment shared as newlyweds has now turned into an overgrown succulent that is far too big for its modest terracotta pot. What does that mean? 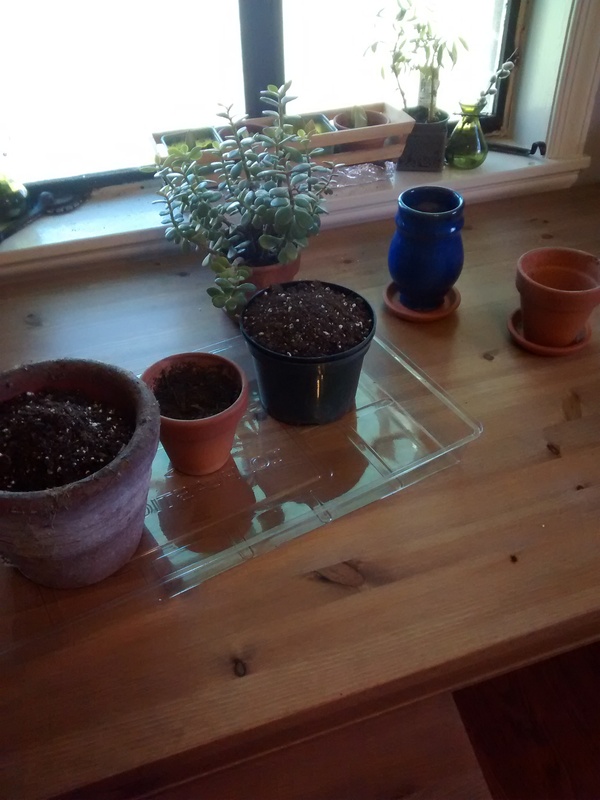 Time to propagate! 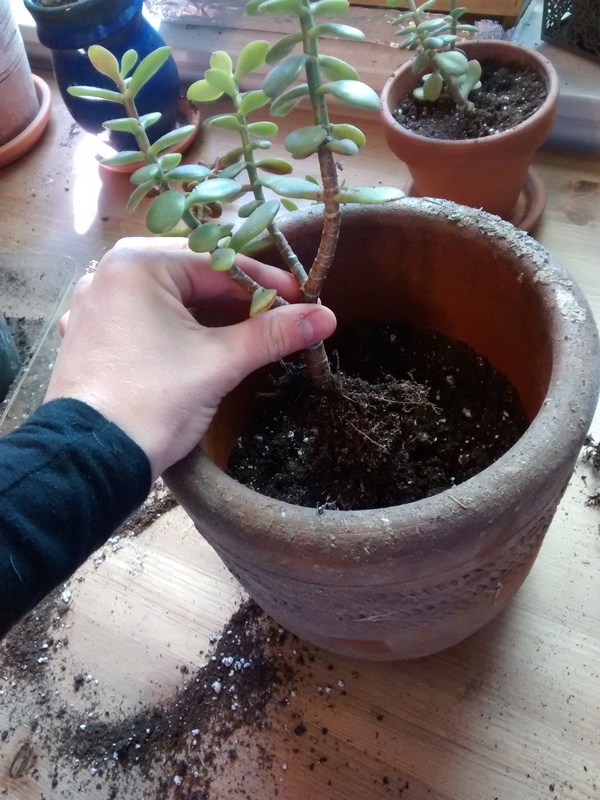 So I thought I would share a tutorial on how to properly propagate a plant. Begin by getting containers for all of your plant’s “babies” (aka the new shoots that have grown from the original plant). 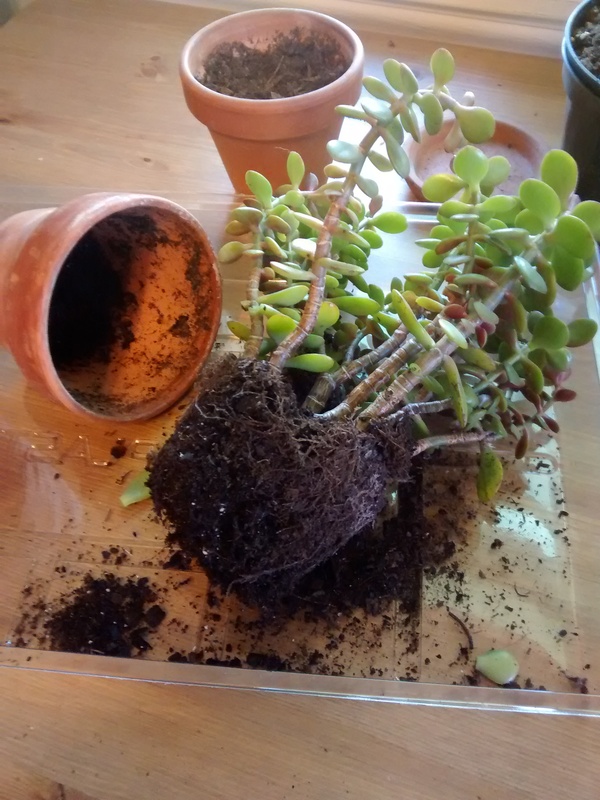 Then remove your plant from its container. Gently break apart the individual shoots and set aside. Wow! 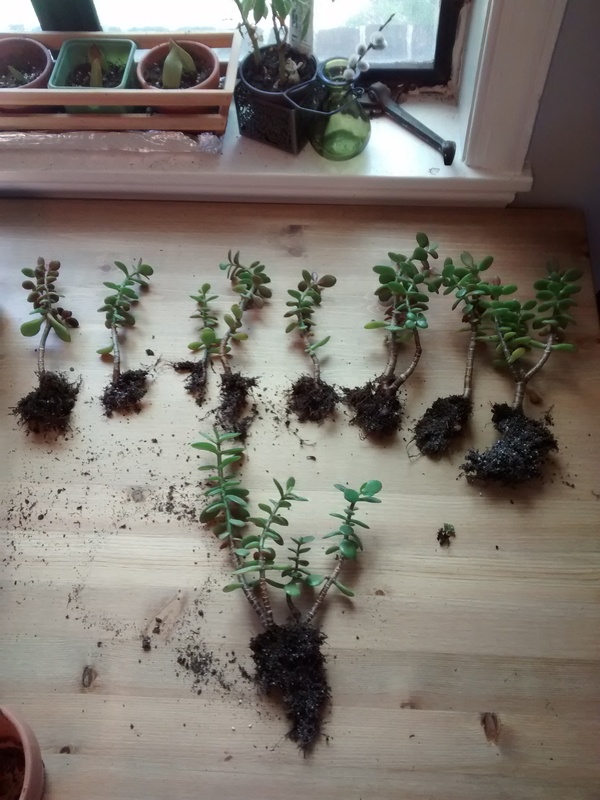 My plant made 8 babies! 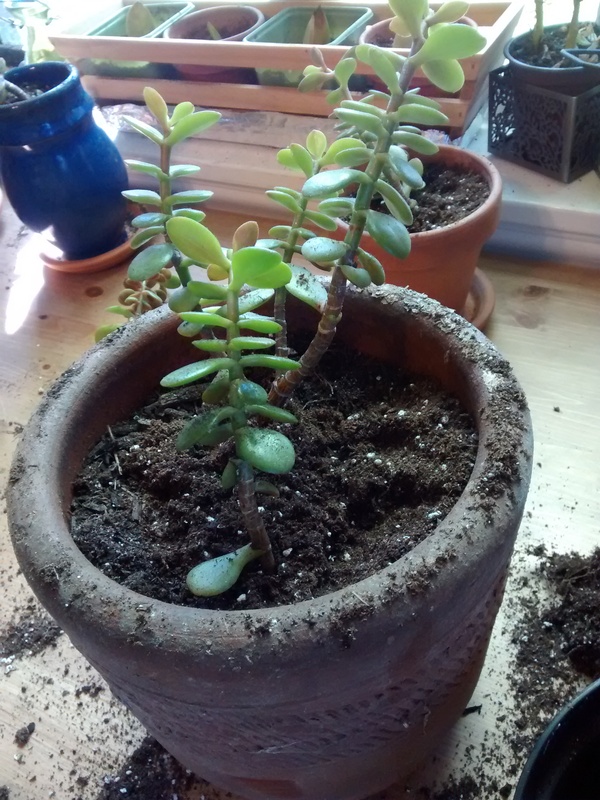 Once separated, place one or two of the shoots in appropriately sizes containers and fill with soil. Then pack the soil around the shoot. 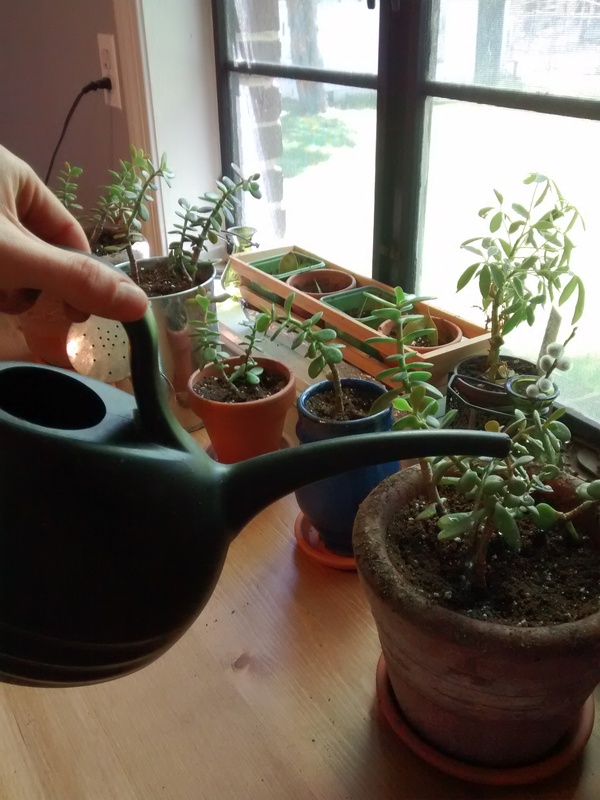 You want to make sure the shoots aren’t too deep in the pot. Make sure the bottommost bud is at the level of or above the rim of the pot. Pack the soil down and water. Voila! And there you have many plants instead of just one. 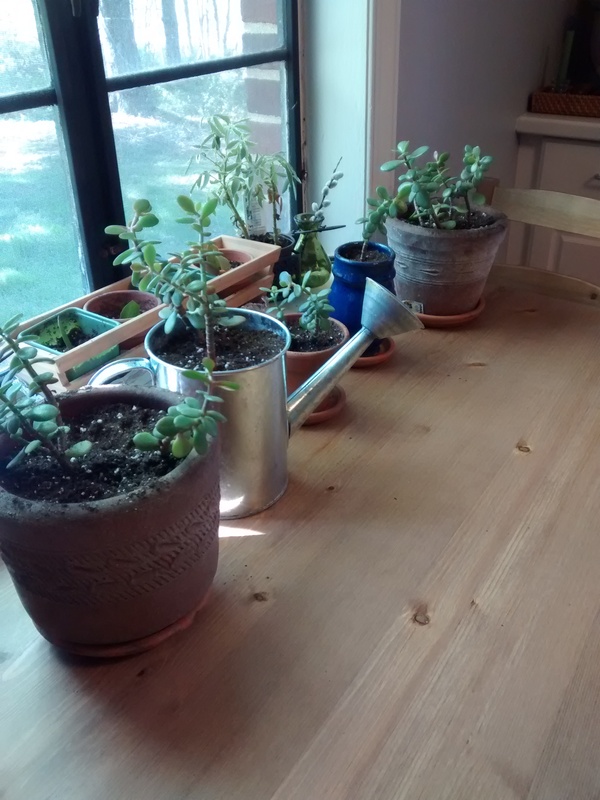 Succulents love water and the sun. Make sure they get plenty of both!